Despite the introduction of many new communication technology over the last decade such as social media, mobile messaging etc, email remains the backbone of corporate communications. Email continues to be the preferred method for spreading virus and spam. Everyday many new types of phishing mails try to fool users in giving away sensitive data. Email communications are being intercepted to gain valuable data. With MailNow! 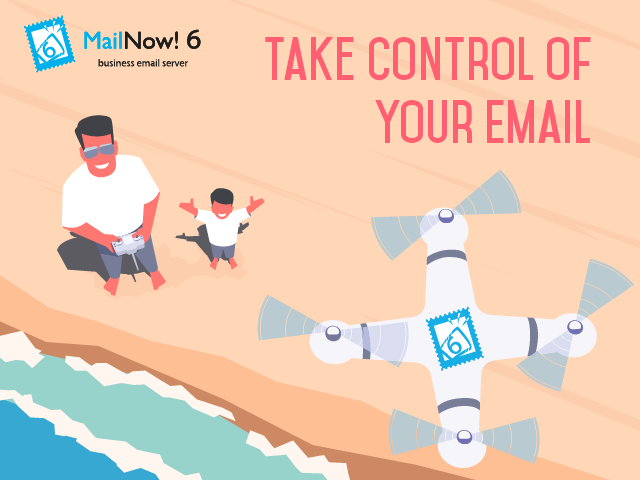 6, InternetNow continues to innovate our award-winning mail server software to ensure that you take control of your organization email communication without the dreaded complexity and high maintenance costs. MailNow! is a mail server software. Such software is used for creating email accounts and storing the mailboxes of an organization. It receives incoming mails and sends out outgoing mails on behalf of the users. Most emails users are familiar with email clients (e.g. Microsoft Outlook or web-based email). But these software need have a mail server running in the background in order to work. MailNow is a Windows- based mail server first developed in 1999. Today in its 6th iteration, it is relied by thousands of organizations in Malaysia and across the world to ensure their emails are safe and reliable.